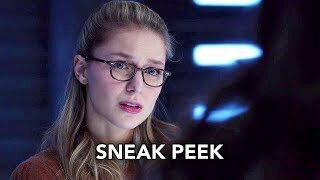 Supergirl 3×18 “Shelter from the Storm” Season 3 Episode 18 Promo – REIGN SETS HER SIGHTS ON RUBY – When Reign (Odette Annable) starts hunting Ruby (guest star Emma Tremblay), Supergirl (Melissa Benoist) and Alex (Chyler Leigh) work together to keep her safe. 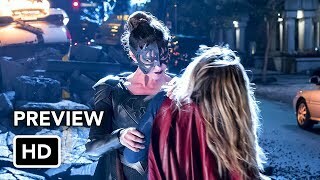 Supergirl and J’onn (David Harewood) look to Sam’s mother (guest star Betty Buckley) for advice on how to stop Reign and come away with some shocking news. Antonio Negret directed the episode with story by Robert Rovner and teleplay by Lindsay Gelfand & Allison Weintraub (#318). 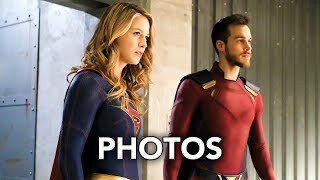 Original airdate 5/14/2018.